If you are concerned about your physical fitness and want to get your body in shape, there are plenty of options available to you. One of the most convenient ways to stay on top of things is to download the best fitness apps Â on your smartphone or tablet. These will certainly contribute to whipping you into shape and keep you in check so that you can reach your personal fitness goals. Here are a few of the top fitness apps you might want to try. 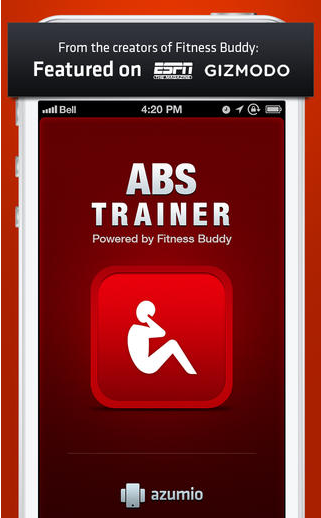 â?¢ Ab Trainer is a great free app for iPhone, iPod touch and iPad that provides you with a number of workouts you can perform to get that tight, flat stomach you have always wanted. It was created by the people who founded Fitness Buddy, the top weight training and fitness app worldwide. Take charge and get working toward your new workout, no matter where you are. There are plenty of great exercises you can perform within the database. Download the app here. â?¢ Calorie Counter â?? MyFitnessPal is a great free app that can prove to be the only fitness app you will ever need. It has many useful features, including a food database that includes over 3,000,000 items, a calorie counter, ideas for exercises you might want to do, a tracker to log all of your food and more. You can compete with friends who also use the app and who are dieting, set personal goals towards weight loss and your fitness routines and more. Download the app here. â?¢ Runtastic is a free app that is available on multiple platforms. It is a great all in one fitness app that allows you to track all of your activities, whether you go running, biking, hiking, walking, or if you lift weights, perform cardio with machines such as treadmills or ellipticals, do aerobics, yoga or anything else. The app includes a GPS tool and records your calories burned, Â the speed and time you have exercised, your elevation and other things. Upload all of your progress to the Runtastic website so that you can view a full analysis and statistics of your performance. Download the app here. â?¢ Fitocracy â?? Fitness Tracker is an award winning free app for iPhone. Â It serves as a tool that can motivate you and push you towards achieving all of your fitness goals. With it, you can track your workouts, but there is much more to it than that. It is truly empowering, as there are ways you can earn points and unlock achievements, reach and surpass your goals and more. Download the app here. â?¢ My Tracks is a free fitness app for Android smartphones that records all of your physical activities as well as the distance, speed, elevation and more details as you perform them. It works with your phoneâ? 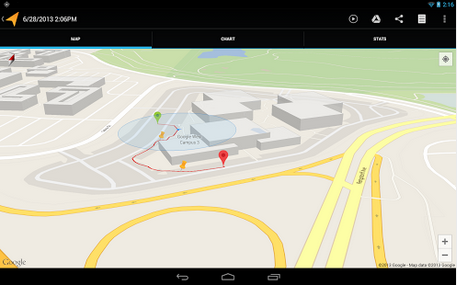 ?s GPS and syncs with biometric sensors as well. Track your heart rate while working out, share your progress with others on social networking sites; view statistics of your progress and more. Download the app here. 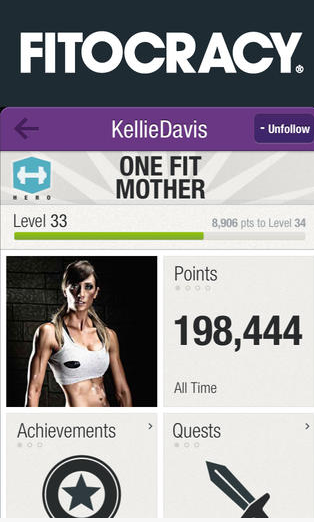 These apps are definitely worth looking into if you are serious about your physical fitness. You can try one or even all to determine which one fits your lifestyle and preference the best. You will also be delighted when you see positive results toward your goals. Gail Johnson, the author of this post, works for Johnson Fitness, retailers of folding electric treadmills. An avid blogger, Gail treats fitness as his religion and writes on a wide range of topics related to health and fitness. Great post. there are a wealth of fitness apps out there and it has become quite a task trying to find the right one for what you are trying to achieve. I still feel developers could take this a little further and bring a much more social/sharing element to it. I think fitocracy goes there to an extent but if there was an app that allowed you to interact with other people aiming for the same goals, then match up with them somehow, that could be extremely powerful and engaging.